Rosemarie Labanowski, the designer, has been sewing garments since she was 8 years old. She has attended design courses at London College of Fashion in England, Parsons School of Design in New York City and has received her degree in Fashion Technology at Maui Community College. Rosemarie has called Maui her home since August 1991. That is why she has designed a tradition Hawaiian Holoku and will continue adding Hawaiian history to her line. The sensuality of her designs use simple, elegant lines in fabulous fabrics. 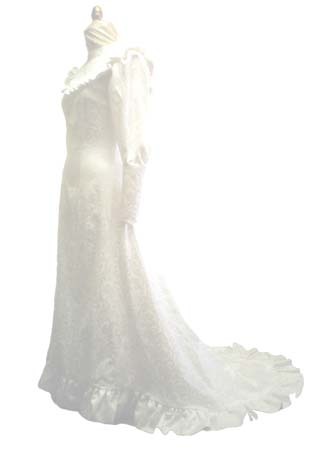 She believes no trend is going to dictate to the bride the gown she has dreamed of since she was a little girl. That is why Rosemarie, also, offers custom services.